Never before in the history of Sierra Leone has a constitutional crisis triggered so much passion and healthy national debate, as the people of Sierra Leone await the outcome of the pending Supreme Court decision as to the constitutionality of the president’s behaviour. This can only be good for the country’s fledgling liberal democracy, many now believe the Koroma government – with its espoused communist tendency is seriously attempting to destroy. 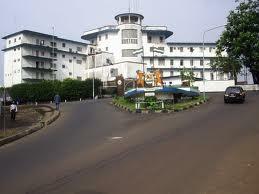 Sierra Leoneans do not want to see a return to dictatorship. Last week, the country’s Bar Association representing barristers, held a closed door meeting to discuss the president’s unilateral decision to sack the vice president, thus, effectively sacking the country’s constitution. It is understood that the majority of barristers present at that meeting, had wanted the executives of the Bar Association to issue a statement condemning the president’s behaviour and to describe his decision as unconstitutional. But vociferous minority members of the executives of the Bar Association, whom are believed to be sympathetic to the ruling APC party, instead issued a contradictory public statement, stating that ‘the Association was unable to deliberate upon the matter, as it was deemed subjudice by justices of the Supreme Court’. This statement has provoked the anger of the majority of members of the Bar Association who are now distancing themselves from the official statement published by the minority executives of the Association. 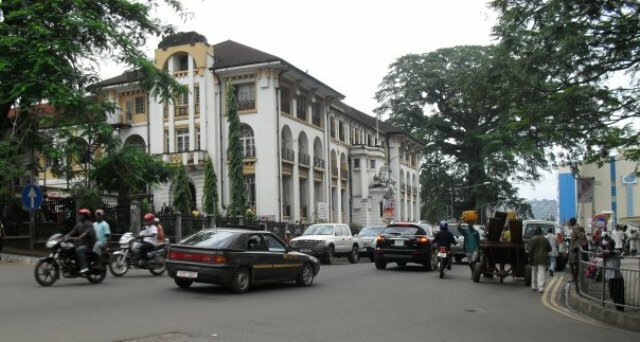 “The attention of the Renaissance Lawyers has been drawn to the Press Release by the Executive of the Sierra Leone Bar Association dated 24th March 2015 purporting to represent to the public that no resolution was passed in regards the motion to wit: WHETHER THE RELIEVING OR SACKING BY THE PRESIDENT OF THE VICE PRESIDENT IS CONSTITUTIONAL. “The said Press Release also indicates that the said motion, because it touches and concerns a matter which the Supreme Court has been seized of, the Bar Association cannot therefore pass a resolution on the same since the Supreme Court is Constitutionally mandated to determine the issue pursuant to Section 124 and 127 of the Constitution. “We hereby wish to clarify to the public that the said motion with regard to the constitutionality or otherwise of the action of the President in relieving or sacking the Vice President was put to a Vote by the General Membership with the Executive, though present, abstaining and the motion was passed by a unanimous vote in favour of the said motion THAT THE ACTION OF THE PRESIDENT IN RELIEVING THE VICE PRESIDENT WAS A VIOLATION OF THE 1991 CONSTITUTION. “HENCE THE RESOLUTION OF 17TH MARCH 2014 WAS PURSUANT TO THAT UNANIMOUS VOTE. “We therefore think that it is most disingenuous and misleading for the Executive of the Bar Association, in their latest Press Release, to give the impression to the Public that the Bar did not adopt a Resolution condemning the Act of the President as being in violation of the Constitution. “We also note that the crux of the Executive’s Press Release is that because the matter is subjudice the Bar cannot take a position on the constitutionality or otherwise of the President’s action. “We are aware that as at the 20th March 2015 no action or proceeding had been commenced in the Supreme Court challenging the relieving or sacking of the Vice President by the President as we were reliably informed by one of the solicitors for the Vice President that they could not complete the filing process even though an attempt had been made that day. “It cannot therefore be legally correct for the executive to state to the public that the matter was subjudice as at 20th March 2015. “We find the Press Release dated the 24th March 2015 as an attempt by the minority Executive to impose on the majority membership their position which the general membership had neither agreed on nor voted in support of. “We also note that no extraordinary general meeting has been held since the Bar Association last met on the 20th March 2015, hence the contents and position of the Executive in their said Press Release cannot be said to be representative of the general membership of the Bar. “We therefore dissociate ourselves and disagree with the contents of the said Press Release of the Executive. “In the light of the above, we believe that the Executive has lost its legitimacy to represent us and we shall invoke Article 30 of the Articles of Association of the Sierra Leone Bar Association to propose and pursue the impeachment of the current Executive. This latest development is regarded by many in Sierra Leone as a necessary evil, though unsettling evidence of the country’s growing liberal democratic values, which the Koroma government and his ruling APC are trying to destroy. 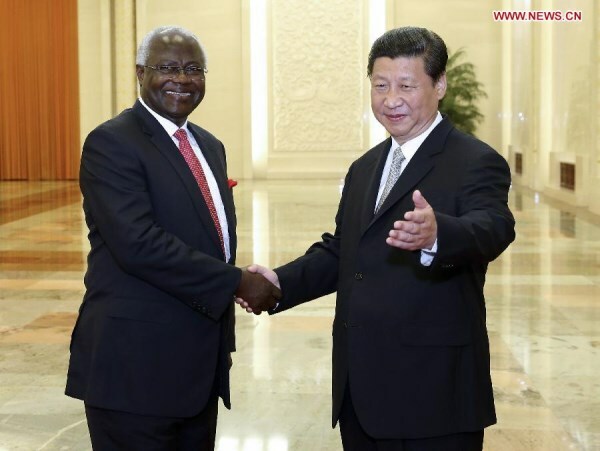 (Photo: President Koroma and his Chinese benefactor – the supreme leader of China). And what is indeed worrying today, is not the fact that the debate about president Koroma’s unconstitutional behaviour is becoming unduly passionate and tempers are rising, but that elements within the ruling APC party with strong communist China tendencies are fighting to see the return of Sierra Leone to a neo-communist dictatorship. This new APC ideology is dangerous and highly disturbing. It threatens to return the country to anarchy and chaos, with consequences that could be far reaching. But it is an ideology that must be resisted through peaceful and democratic means. The difficulty however, is that few in Sierra Leone trust the country’s judiciary, including the judges of the Supreme Court, who just months ago were personally appointed by president Koroma, after nomination by the former Chief Justice Umu Tejan-Jalloh to serve his interests. But, be that as it may, the people of Sierra Leone are now hoping that those judges will have a modicum of integrity and love for the country, so that for once in their career, they will set aside the interests of president Koroma and deliver justice based on a clear and reasonable interpretation of the provisions in the constitution, rather than an interpretation based on what they think the crafters of the constitution have failed to say or should have said. If the Supreme Court judges allow themselves to be swayed by arrogance, corruption and politics, and therefore fail to deliver justice as it ought, not only will history judge them harshly, but they will have seriously failed to uplift Sierra Leone from the morass and hubris that are responsible for the uncivilised conditions and degradation that the people now suffer. Let this call therefore be the cause of the Supreme Court Judges. When all the noise subsides, the president has no leg to stand on. This issue is really less about about Sam Sumana than it is about the sanctity of the constitution. Many of us support the president’s efforts in promoting democracy. However, all educated elites have a responsibility to protect the poor people of Sierra Leone, and to call the president out when he is wrong. He has not led by example. He, too, must abide by the constitution of the land. By virtue of his dismissal from the APC, let’s assume Vice President Sam Sumana no longer belongs to a political party – which now remains a fact, no matter how dubious a process was to get him partyless. Now, here is the real issue which everyone needs to consider: Nothing in the constitution gives authority to the president to appoint someone else in his place. Again, let me repeat – President Ernest Koroma has no constitutional authority to replace his vice, period! Again, take away all the noise, and construe the constitution as it should, the president is wrong. This is plain and simple. Part of the problem he faces is an issue such as this was never envisioned at the time of the constitutional review. Consequently, the president is in a quandary. He is in a no-win situation. He is no longer in a position to turn back the clock. And not knowing what to do, he now relies on the very people who have poorly advised him – some of whom created the schism between the president and his vice president that has torn the nation apart. Their strategy now is to galvanize support from the masses with the hopes that the issue will die out. Yes, indeed, this is a tough and divisive issue for our fragile democracy. We await the Supreme Court’s decision.